Last year my Husband started the kids in 4-H. I didn’t understand why he would do that. I thought 4-H was for farm kids. We don’t live on a farm. I also thought that 4-H was a place for kids to show their horses, cattle, pigs, and chickens. Neither James nor I ever owned such creatures. My assumption was somewhat correct, but not completely. What I didn’t know was that 4-H offered so much more then I realized. Twice a month my husband takes the kids to 4-h meetings. I was delighted to see that the kids were having so much fun with their Daddy while I stayed home to rest. They did cake decorating, painting pottery, did a wilderness survival class, and so much more. One night was bring your pet. We own a guinea pig that the kids took. I love animals and so I went along. Families brought baby chickens, ducks, and baby rabbits. I fell in love with the floppy ear velveteen rabbits. 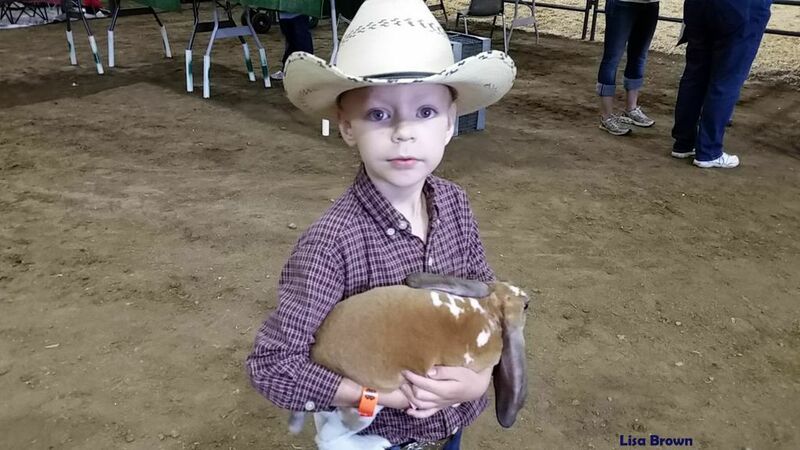 Soon after the meeting I got my floppy ear velveteen rabbit and I started to get involve in 4-H. Our kids showed our guinea pig and rabbit at the county fair. I look back a year ago from now. I had no idea then that I would become involved. Honestly I thought it would be a waste of time. I was wrong. This year we are planning on going to 4-H as a family twice a month. I have learned a lesson through this. It’s the unfamiliar things in life that can surprise us the most and bring us joy. I’m so glad that my husband took the initiative and did something different with the kids that he himself never had done before. I tried something new and now I have a floppy ear velveteen rabbit that my kids call Star. He lives in my son’s room and is potty trained. What is something new that you can do this year that you have been avoiding?